Check out this easy-to-make recipe for fans of dates and almonds! Dates and healthy nuts such as almonds and walnuts are very nutritional. Dates alone are a very good sources of vitamins and minerals, energy, and fiber. 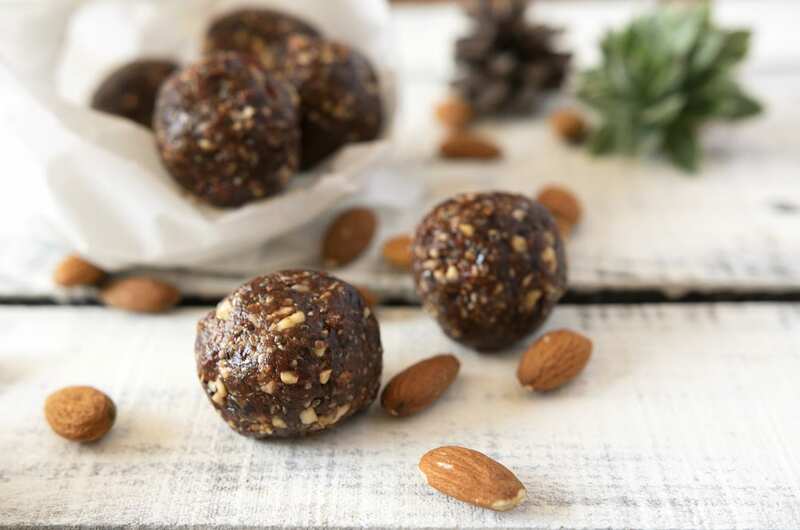 When adding the healthy benefits of almonds (high-quality protein, healthy fats, fiber, and other vitamins and minerals), it can turn into a very tasty and wholesome snack. Check out this really easy Moroccan Charoset recipe. It only requires 5 ingredients and doesn’t take any longer than 10 minutes. This exact recipe also serves six people and gluten-free, vegetarian friendly, and is parve! 1. Add dates to the bowl of the food processor and blend until smooth consistency. 2. With a spatula, scrape down the side of the bowl a few times because the mixture is very sticky. 4. The rest of the ingredients and blend (repeat scraping down the sides) until perfectly combined. 5. Get your fingertips a little damp from a bit of water so that the mixture doesn’t stick to you and form one to two tablespoons of the mixture into a ball. 6. Place in a dish or container in a single layer and refrigerate until serving and enjoy!